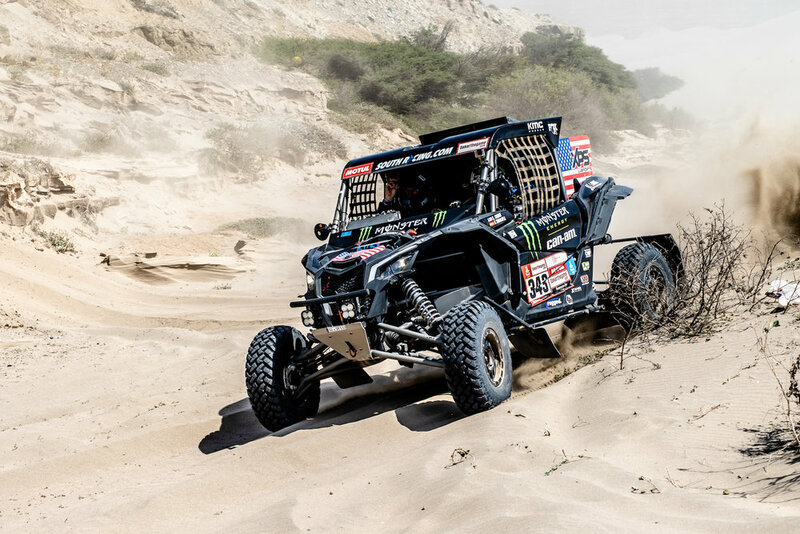 As the team got the cars on their way to the first loop stage of the rally, word started to spread that this was going to be the most difficult stage of this years Dakar. Full of difficult to read terrain and many triple cautions. So when Casey left the bivouac we knew we were in for a long day of sitting watching the times update on the computer. The rally would start off well with Casey hanging in third only 2 minutes off the pace at waypoint 1. Then it seemed like an eternity before he would reach waypoint 2. With multiple SxS checking in that were behind Casey at the start, we knew he must’ve had an issue. Crew watches over live tracking on every device. As Casey was a pushing to make up ground on the rest of the field, a small misreading of the dunes ended with him smashing his front end off a 15ft razorback. He would damage his front left suspension and have to pull over. As Casey would go to work to replace the bent parts fellow SxS competitor Kariakin would make the same error but his mistake would result in a full roll over. Check out the rollover below. The crash and time spent fixing would put Casey a hour down from the leader with a long way to go left in the stage. For the remainder of the stage he would play it safe in order to not have any more issues with the suspension. Casey and Rafa work on the front end. The bent upper A-Arm, that maintained for the remainder of stage. Casey wouldn’t be the only one to have trouble on the stage. 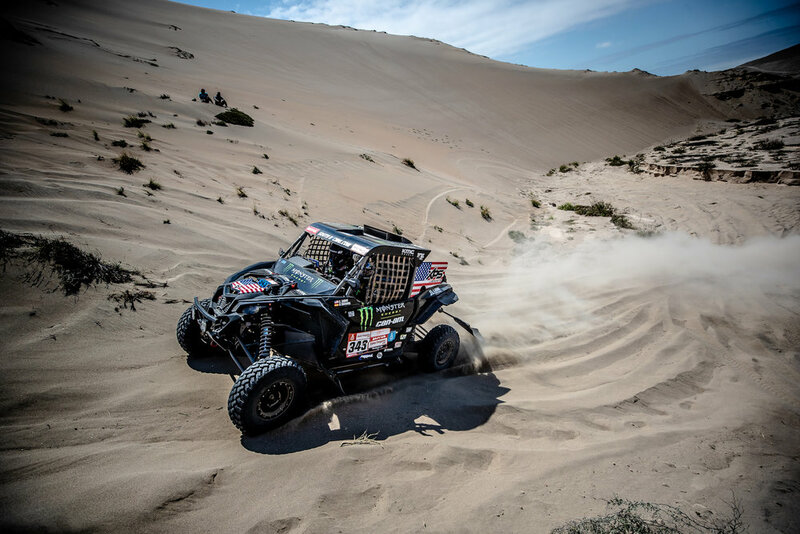 Overall leader and fellow teammate Gerard Farres would get stuck in a dune and would lose 2 hours on the day stripping him away from the lead. Back underway after the crash. Casey would end up 9th on stage 7, 01:06:14 behind the stage winner. With multiple competitors having issues Casey remains in 5th overall for the rally. Stage 8 continues the trend of having previous stages tracks mixed into the race course. It’ll be 40% sand and dunes and 60% gravel. 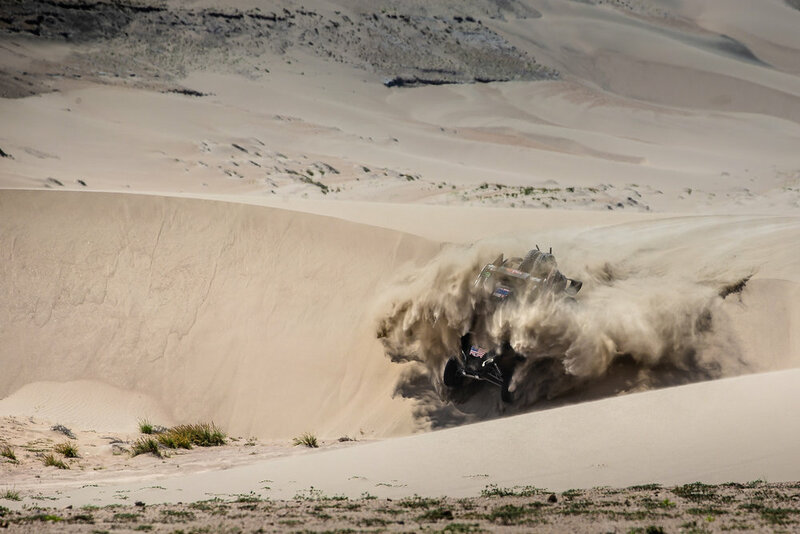 The rally is nearing the end as we head back to Pisco to our final bivouac.